Edward Gilbreath is director of editorial for Urban Ministries Inc., editor of UrbanFaith.com, and the author of Reconciliation Blues: A Black Evangelical’s Inside View of White Christianity. He blogs at Reconciliation Blog. This article is provided through a partnership with Urban Faith. Christians should resist the election season's attack-mode politics of race. 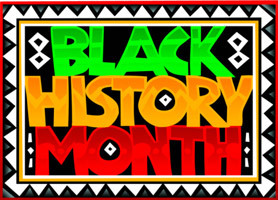 I've kind of avoided the topic of Black History Month this year until now, almost the end of the month. The reason is, I've been kicking around in my mind this notion of "Black History Month Syndrome." Now, stay with me a minute. Racial reconciliation among evangelicals is one of those slippery topics that come and go based on which national leader is currently jazzed about it. As you probably know, one of the big articles making the rounds this week is Time magazine's major report on Willow Creek Community Church and the noteworthy progress being made in evangelical megachurches to bridge the racial divide. One of the toughest parts of being the author of a book about racial reconciliation is that when the latest racial incident flares up, everyone expects you to chime in with your two cents.